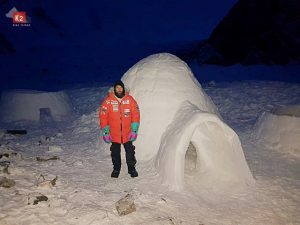 “In the dining tent we had temperatures of minus 13 degrees Celsius, in the normal tent minus 26 degrees, but in the igloo we slept at minus five degrees,” reported the 37-year-old. 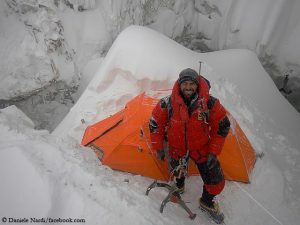 “I must say it was the best night of my eight winter expeditions. When you go from the dining tent to the igloo, all your muscles freeze, your hands get stiff and the wind blows in your face. But when you enter the igloo, silence returns, the sound of the wind disappears.” The team is considering building igloos in the Advanced Base Camp (ABC) too. 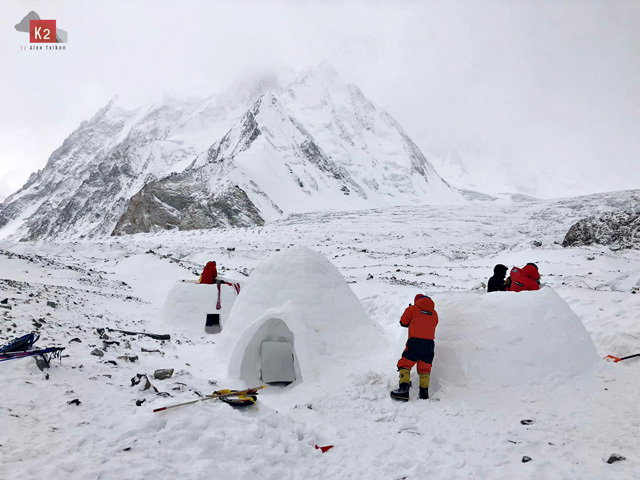 On K2, the second highest mountain on earth, snowfall is predicted at least until Wednesday morning local time, at Nanga Parbat possibly even until the weekend. 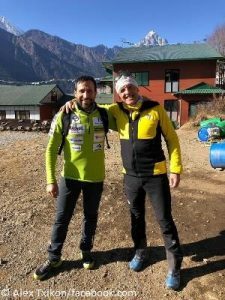 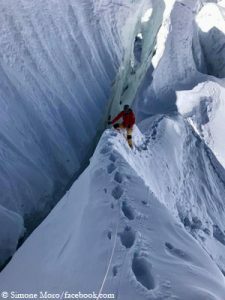 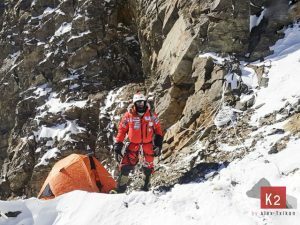 There the Italian Daniele Nardi and the British Tom Ballard had reached an altitude of 6,200 meters last week in their attempt to completely climb through the so-called “Mummery Rib”, a striking rock spur in the Diamir Face, for the first time. 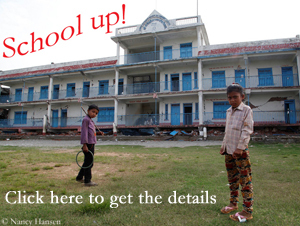 “Well, what did you expect? 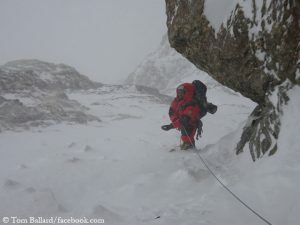 It is winter on the ninth highest peak in the world. No picnic,“ Tom wrote on Facebook.